Hooray! Mixology Monday is back after a two month gap and the theme this time is Vinegar. Adam, of the Mr. Muddle blog, is hosting the event. Go over there and read his announcement post to get this theme explained. On a lunch break, a couple of weeks ago, I picked a whole lot of cherries from a tree outside my work. I came home, put them in the fridge and forgot about them until I reached for the greek yoghurt only to find a bucket packed with past-their-prime cherries. Making a shrub seemed like a good idea. On the Reclaiming Provincial blog, I found an interesting recipe for a cherry balsamic shrub and the results were great. The shrub is rich in flavor (and color) and has a little extra kick from black peppercorns. 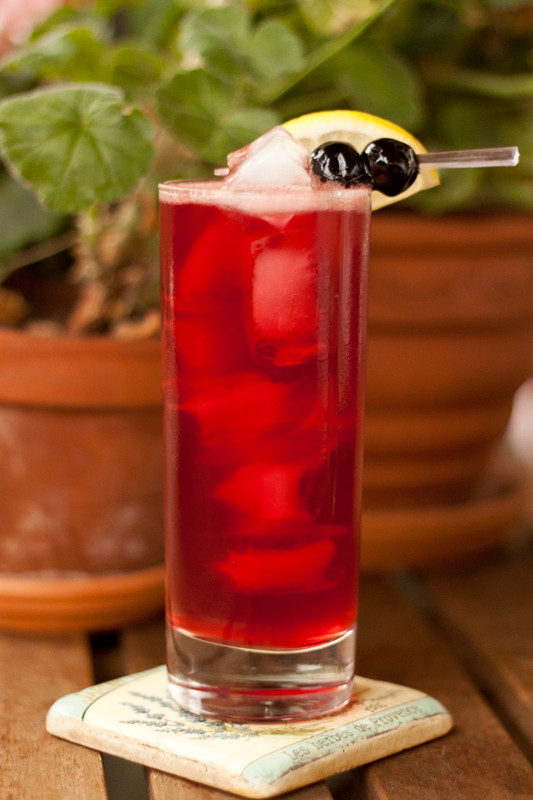 The Cheree Cheree is dominated by ginger and maraschino-like notes of german kirschwasser. The shrub makes a nice accent without being overwhelming. Little goes a long way. Cheree, Cheree is the hook from, well, Cheree by electro-punk pioneers Suicide. It's the Je t'aime... moi non plus of industrial music and Suicide's 1977 debut LP is truly one of the best albums ever recorded. The duo's singer passed away earlier this summer. So I raise this collins glass and say: Thank you for the music, Alan Vega. 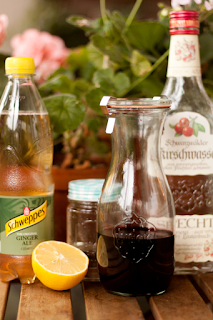 Combine kirschwasser, lemon juice, shrub and syrup in a shaker and fill with ice cubes. Shake and strain into a collins glass filled with ice cubes. Top with ginger ale and stir lightly. 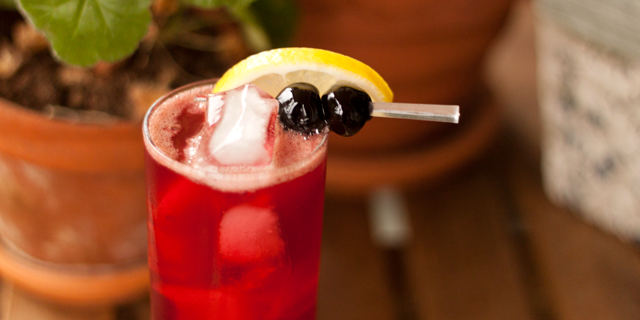 Garnish with a slice of lemon and maraschino cherries.